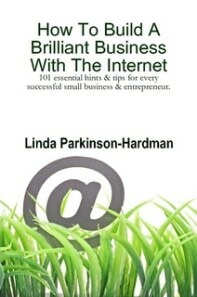 The book talks you through the basics of using the Internet for business, why your competitors can be your best asset, the legal and tax implications of doing business online, how to undertake online marketing, what stops you from appearing on the Google and the pro’s and con’s of websites (you may even find out you don’t actually need one). It also talks you through many of the tools, services and opportunities that exist which can give your business the edge it is looking for – and many won’t cost you a penny. Why not have a look at the contents and see the subjects covered. The Internet has never been easier to use by savvy small businesses and those with an entrepreneurial spirit and every one that sells products or services should be using it to build their business now! Divided into 101 easily digested chunks of really helpful information it is perfect for those just starting out on the road to business success. For those who have been doing it for some time the suggestions, hints and tips can really notch your business up a gear.